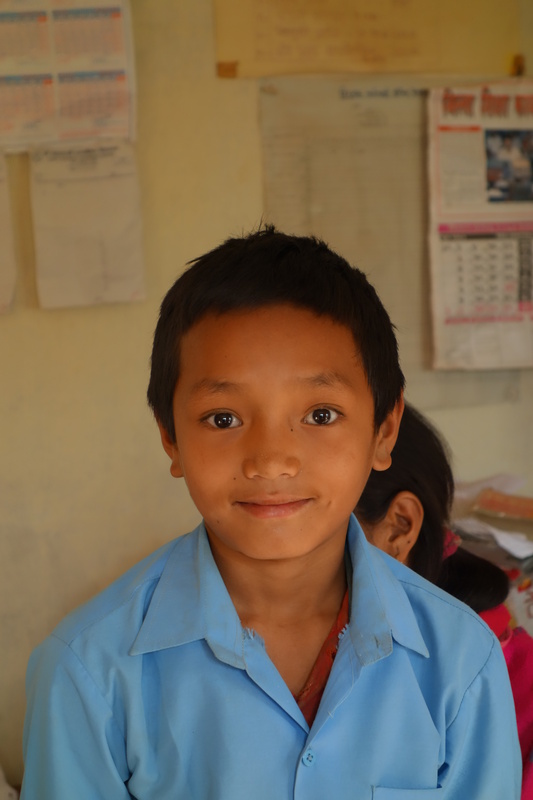 Accueil › Actualités › And now meet our new day scholars at Shree Liti School in Dhading! And now meet our new day scholars at Shree Liti School in Dhading! In addition to sponsoring 11 kids as boarders at Shree Liti (the 10 students that we introduced to you recently, plus 1 little girl whom we’ll present to you later on), SEA is sponsoring 10 students as day scholars. These children continue to live with their families and SEA only pays for their exam fees, school books and material. 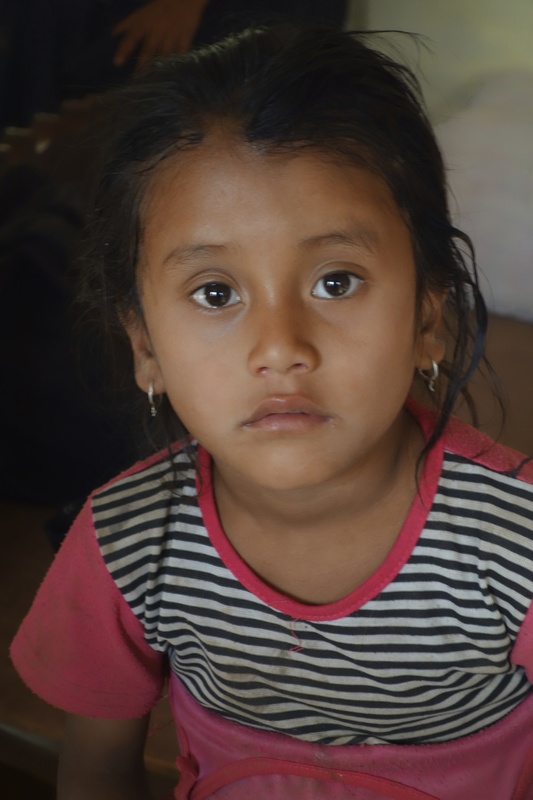 The annual sponsorship cost per kid is 50 euros—with 50 euros only (17 euros after tax deduction), a child is given a chance to go to school… (sorry to insist, but we are looking for donors….). Sunita is 7 years old. Her father is a farmer. He is old and has serious health problems, so he can barely work. Moreover, he is an alcoholic. Her mother is a homemaker. She is the second wife of her father. 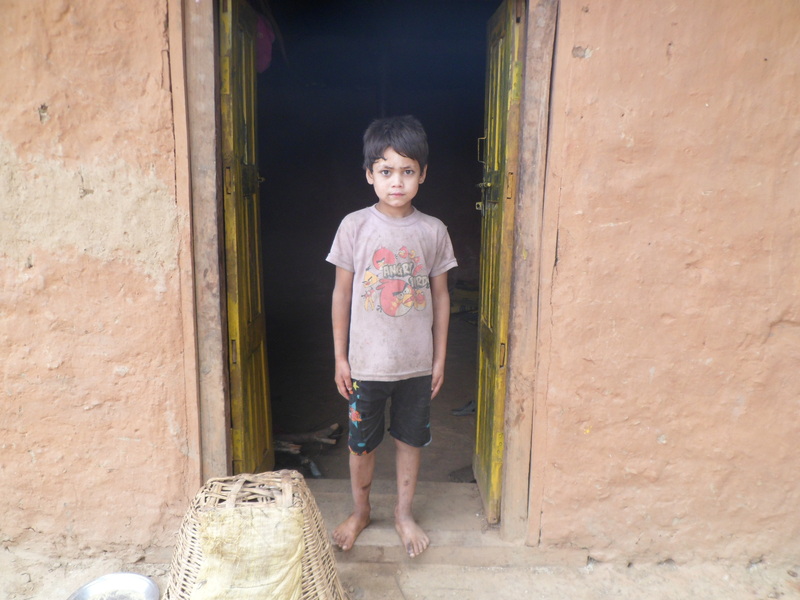 Sunita has 2 elder sisters aged 12 and 16 and 1 elder brother aged 26, who is illiterate and does farm work. She lives forty-five minutes away from school and was admitted at Shree Liti in grade 1 in May. This family is desperately poor. Sabita is 6 years old. Both of her parents make a living by cutting stones as they have no land to farm. Sabita has 1 brother. As there is no one to look after their children while they are working far away from their living place, the parents usually take their two kids to work with them. 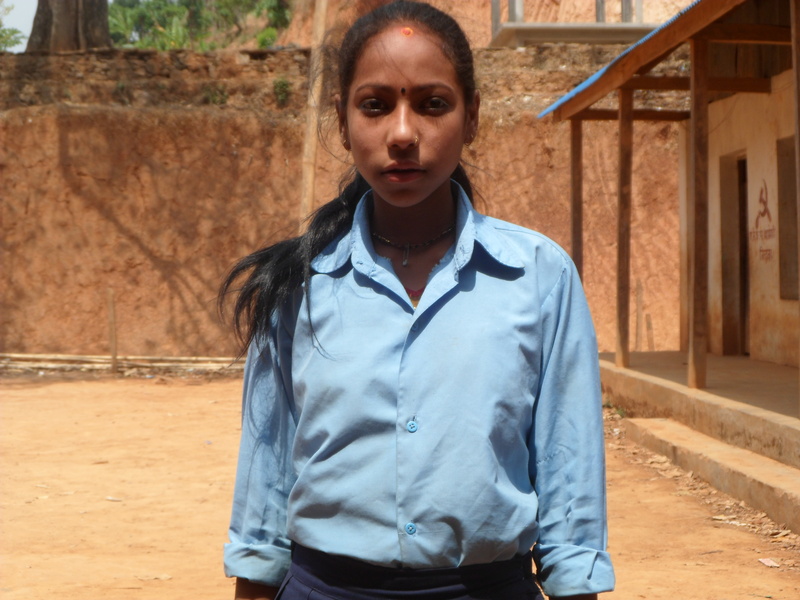 In May, Sabita was admitted at Shree Liti in grade 1. She has to walk nearly two hours per day to go to and come back from school. Rajeev is 7 years old. His father is a stone-cutter, his mother is a homemaker. They have 3 sons, of which Rajeev is the eldest one. Recently her mother fell down from a tree and is now suffering from multiple broken bones. They are struggling to make ends meet as stone-cutting is erratic and seasonal work. 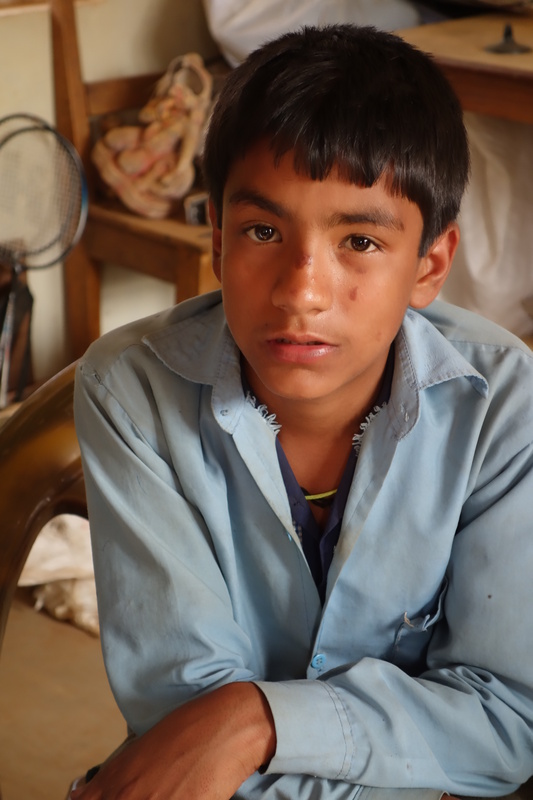 In May, Rajeev was admitted at Shree Liti in grade 1. Raj is 11 years old. His father is a stone-cutter, his mother is a homemaker. They have 4 children, 2 sons (including Raj) and 2 daughters. Although they have no land, they possess their own house. They also have livestock (1 buffalo and 3 goats) which enables them to feed their children when stone-cutting has to be stopped during the rainy season. Notwithstanding deep poverty Raj has been going to school regularly. He successfully passed 5th grade with a percentage of 67% and now studies in 6th grade. He is a very deserving kid. His dream is to become a teacher later on. Devika is 15 years old. Her father is old. He cannot currently work as he has been suffering from serious health problems over the past two years. Her mother is a housewife. They have 7 children including Devika, 3 daughters (two of which are married) and 4 sons. This family survives thanks to their livestock: 1 buffalo, 1 calf, 1 cow, 4 hens and 9 goats. They also have some lands. Devika passed 5th grade with a score of 57%. Last year, she was awarded a prize for being punctual at school with 196 days of school attendance out of 202 days. She is now pursuing her studies in 6th grade. Santosh is 14 years old. Both of his parents are labourers. They have no house, no land and no livestock. They are not from Dhading, they are migrants. And they struggle for survival. Every day, very early in the morning, they carry heavy loads of milk from Shree Liti School to Madbesi, which is 3-hour walk away—this is how they earn their living. Santosh has 2 sisters aged 9 and 12. Despite extreme poverty Santosh has managed to go to school. He passed 5th grade with a score of 52% and is now studying in 6th grade. His dream is to become an English teacher. Susmita is 14 years old. Her father is a stone-cutter, but he is also engaged in seasonal farm work; her mother is a housewife. Their also keep livestock: 1 calf, 10 goats and 18 hens. 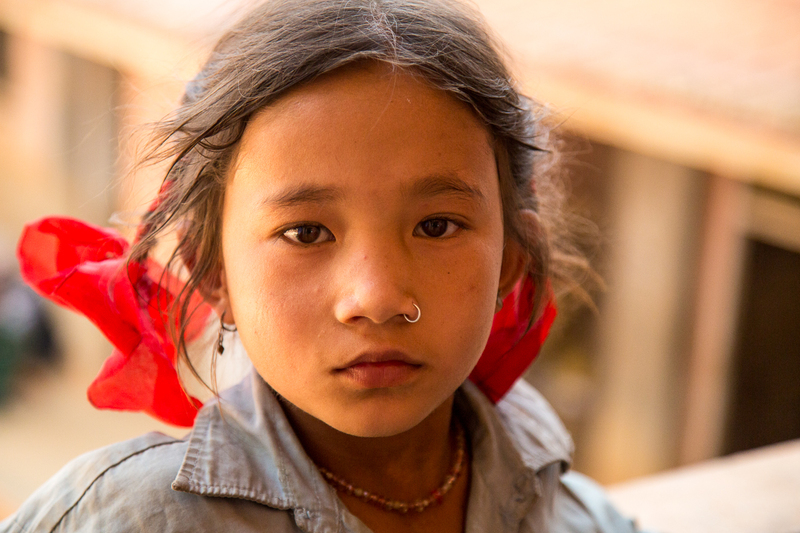 Susmita, who has 2 brothers, lives one hour and a half’s walk away from school. She nevertheless passed 6th grade with a score of 47% and is now studying in 7th grade. Her dream is to become a Nepali teacher later on. Sita is 14 years old. Her father is a labourer; her mother, who suffers from serious hearing problems, is a homemaker. They have 2 daughters and 3 sons. One of the sons left the family owing to lack of money. He now works as a conductor in Kathmandu. 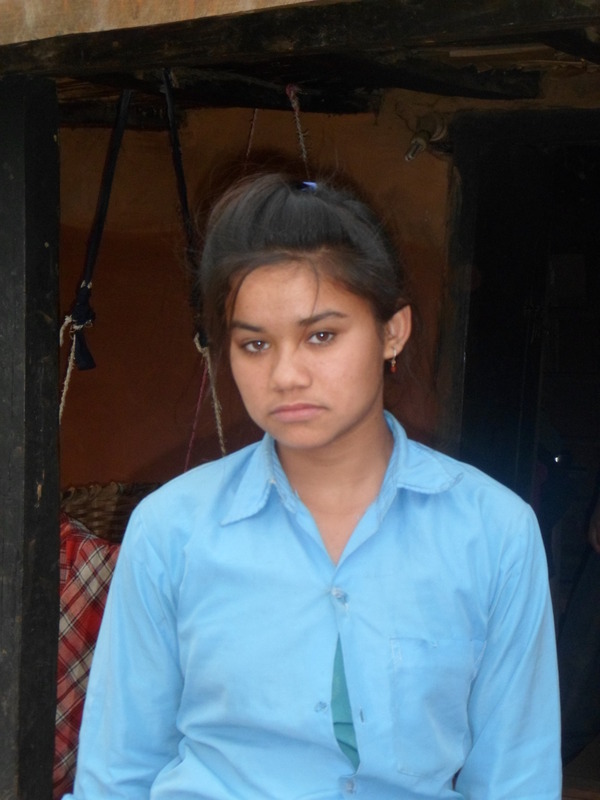 Sita lives 2-hour walk away from Shree Liti School. She passed 6th grade with a score of 57% and is now pursuing her studies in 7th grade. In addition to these 8 kids, whose SEA sponsorship was started last May, SEA continues to sponsor Ram Kumar Magar and Radha Krishna Gole. Ram Kumar and Radha Krishna have been sponsored by SEA since May 2012. Last year, they stayed in Shree Liti’s little hostel given the destitute livelihood condition of their families. But since their parents live near the school, and given the equally destitute living conditions of other kids who, in addition, have to walk long distances to get their education, it was decided to sponsor them as day scholars this year. But if we could find sponsors for them SEA will reintegrate them into the school’s hostel—the sponsorship costs 35 euros per month (or 11.9 euros after tax deduction). Both of them are very cute, very gentle and disciplined kids. Ram Kumar was promoted to 2nd grade after having scored 58% at his final exam in 1st grade, and Radha Krishna continues his studies in 4th grade after securing a score of 49% in 3rd grade. « Pour Anne : La métamorphose de Ram Maya !! !